According to Sri Lanka’s Finance Minister Ravi Karunanayake, less than 30 hotels operating in the country pay taxes, which, if it is an accurate assessment, create concerns over leading hoteliers in the formal sector requesting the informal sector operators to pay taxes. “We have almost 500-600 hotels and of that maybe 25-30 that pay taxes. 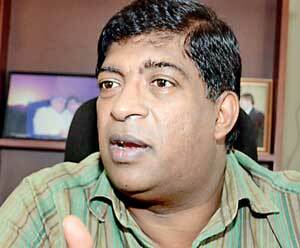 So making the taxation from 14 to 28 percent doesn’t affect anybody,” Karunanayake told a top tourism forum in Colombo this week. He said this was due to tax holidays and that while those who would invest immediately will get tax holidays just as the past, going forward, there would only be investment relief after laws and regulations are amended to reflect proposals in the 2017 budget. It is however interesting to note there were only 354 hotels registered with the Sri Lanka Tourism Development Authority by the end of 2015, which accounted for approximately 50 percent of the market share of accommodation in the country. Supplementary registered accommodations, which do not classify as hotels, accounted for roughly a quarter of the market share. The informal sector, which accounts for the remaining quarter, is mostly dominated by small-scale home stay and bed and breakfast units, and may not include enough hotels to justify Karunanayake’s 600 hotel figure. Further, hotels were charged a 12 percent income tax rate prior to the 2017 budget, unlike the 14 percent Karunanayake claimed. However, if his figures on the number of hotels paying taxes are accurate, it could mean that over 200 hotels are engaging in tax evasion, since 252 hotels were registered by 2011, and Sri Lankan hotels have mostly been given a maximum of 5 years of tax holidays since 2002. The number of hotels may be lower, since tax holidays come into effect during the first year of profit making, and not the year of commencing operations. This is despite the fact that such informal sector accommodation providers do not fall within the threshold for major taxes such as Value-added Tax and Income Tax. However, the 2017 budget proposed a 0.5 percent Tourism Development Levy on small scale accommodation providers, compared to a 1 percent rate of larger businesses. The budget has also proposed to collect Rs. 25 billion by charging taxes from online booking engines—which facilitate the informal sector—similar to taxes being charged from their local competition. Further proposals have been made to charge an additional tax from e-commerce businesses. I just can't understand our finance minister. Every action taken by him is later contradicted. Every proposal made in the budget has been changed. I think it's time that the finance minister himself is changed.